Do you love Bohemian style and design? If so, you are not alone. Bohemian style often referred to as “boho” or “boho chic” is a fashion style that was popularized during the 1960s and 1970s (though it is possible to trace the roots back further) and is still as fashionable as ever. 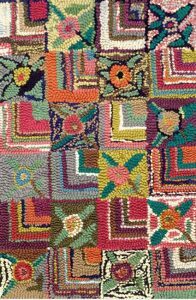 The essence of Bohemian is focusing on natural fabrics, mixed patterns, and lots of luscious color combinations. 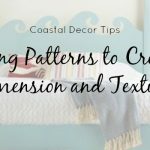 Bohemian style is one of the hottest design trends around and the perfect look to incorporate into your beach home or cottage. These different Bohemian style decorating ideas can help get you started. Textured accent pillows bring in a burst of color and an intricate, interesting textile pattern. 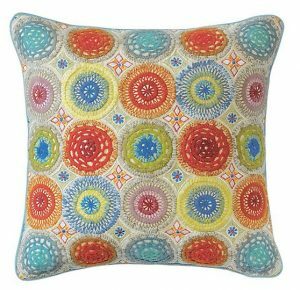 Our colorful High Jinks pillow features hand crochet and detailed hand embroidery to create a truly artisanal and textural design. 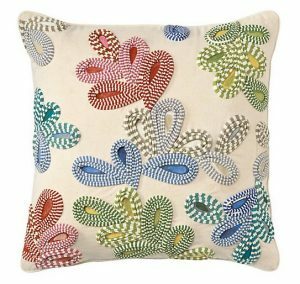 These accent pillows are great for brightening up a neutral room, or to work with other Bohemian style elements. Colors, patterns, and mismatched furniture deserve to be perfectly illuminated. Chandeliers and unexpected lighting will make your space pop (even more than it already does!). 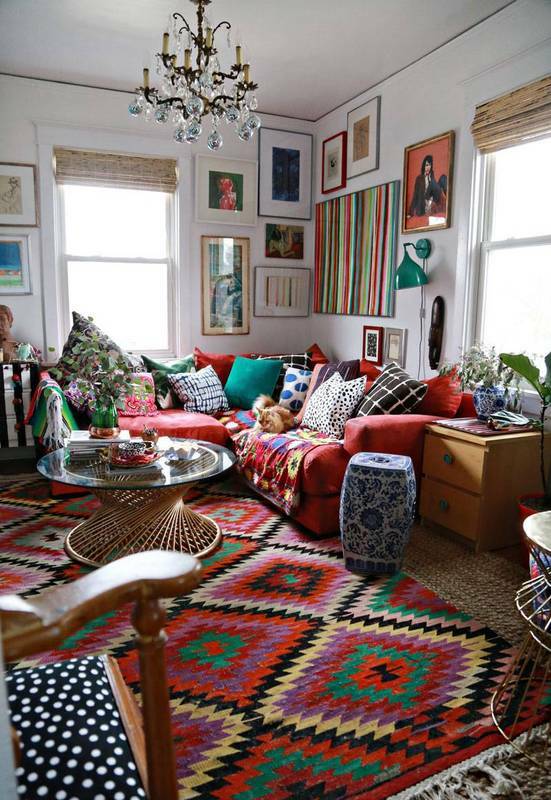 If you want to go all the way Bohemian, consider bold colors and patterns. Beautiful blues, golds, and pinks can add all sorts of interest to a room. 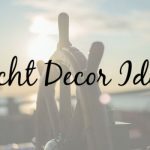 Add your color with paints, wallpaper, tapestries and with unique art. 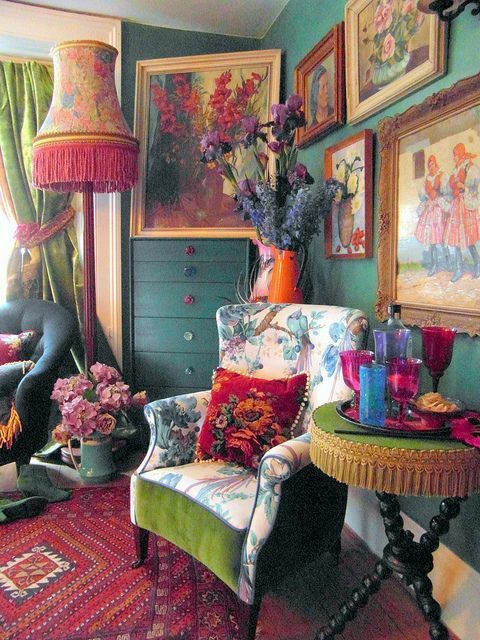 In Bohemian interior decorating there is never such a thing as too many interior plants. Consider tall, slender plants that do not take up much space but can add more green to your room. The added greenery can help with the mood of the room and improve the air quality as well. An all white room can look great classical and modern at the same time. Bringing in just a touch of color can then take it to the next level. 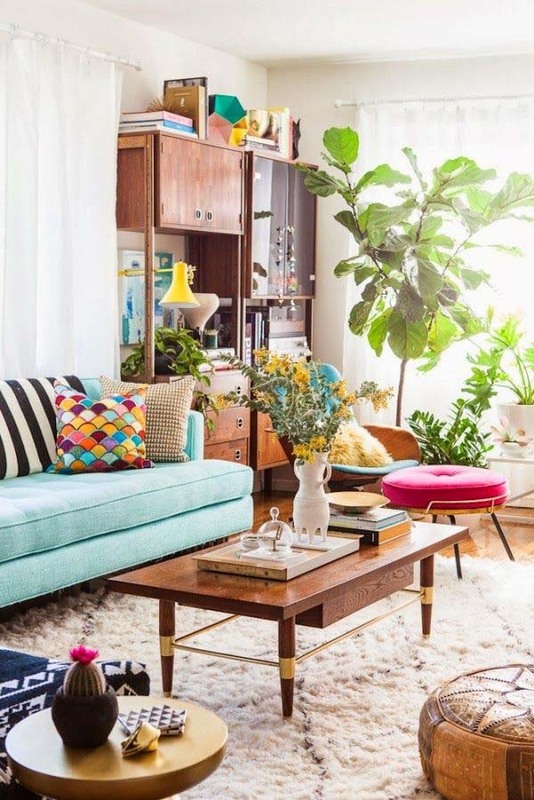 Consider a Bohemian inspired rug in front of the sofa. This pop of color adds interest without committing to an overly patterned look. Just make sure it is a quality piece as it will command visual attention. 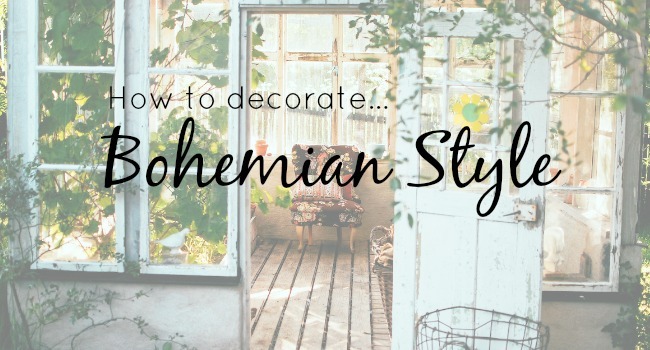 With an assortment of different Bohemian style decorating ideas, there are many different ways you can transform both the inside of your home and the outside. From accent pillows to floor coverings, and everything in between, there is a multitude of ways in which to infuse Bohemian style. 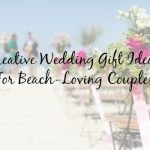 Find the latest trends and home decorating options at Cottage & Bungalow.